Prozac is the brand name of a widely-used medication known as fluoxetine. It is prescribed to treat a variety of mental health disorders, including depression, panic attacks and obsessive-compulsive disorder. While Prozac is generally safe, it may cause side effects and interactions with certain foods. Consult your physician for a detailed list of foods, herbal supplements and other medications to avoid while taking Prozac. If you are taking Prozac, consuming high amounts of dietary fiber may decrease the effectiveness of your medication, cautions the University of Maryland Medical Center. Consult your doctor before adding large amounts of dietary fiber to your diet, particularly in the form of psyllium husk or other fiber supplements. Prozac may cause adverse interactions with tryptophan, an amino acid present in many types of food, including red meat, eggs and chocolate. The available evidence indicates, however, that levels of tryptophan in food are usually not high enough to cause interactions with Prozac, explains the CareGroup.org. Reactions are usually only seen when tryptophan is taken in the form of concentrated health supplements. Consuming alcohol at the same time as Prozac appears to increase the side effects of Prozac on the central nervous system, especially drowsiness. 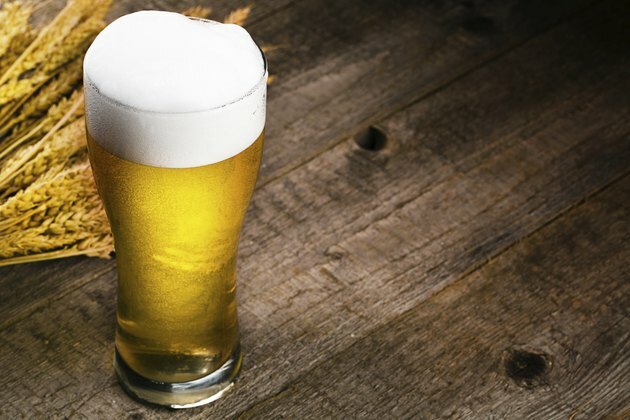 Additional side effects that may be worsen by alcohol include impaired thinking and judgment, as well as decreased motor skills and coordination, warns Drugs.com. People taking Prozac are generally urged to entirely avoid consuming alcohol. Prozac is known to cause interactions with several herbal supplements, especially St. John's wort. Mixing Prozac with St. John's wort can cause several severe side effects, including a life-threatening condition known as serotonin syndrome, advises the University of Maryland Medical Center. Additional herbal supplements you should avoid while taking Prozac include melatonin, ephedra and S-adenosylmethionine.